A faculty member with the Wallace H. Coulter Department of Biomedical Engineering (BME) is joining one of the world’s most elite societies for biomedical engineers. Associate Professor May Dongmei Wang, Ph.D., was recently elected as an Administrative Committee Officer (AdCom) representing North America in the international IEEE Engineering in Medicine and Biology Society (EMBS). 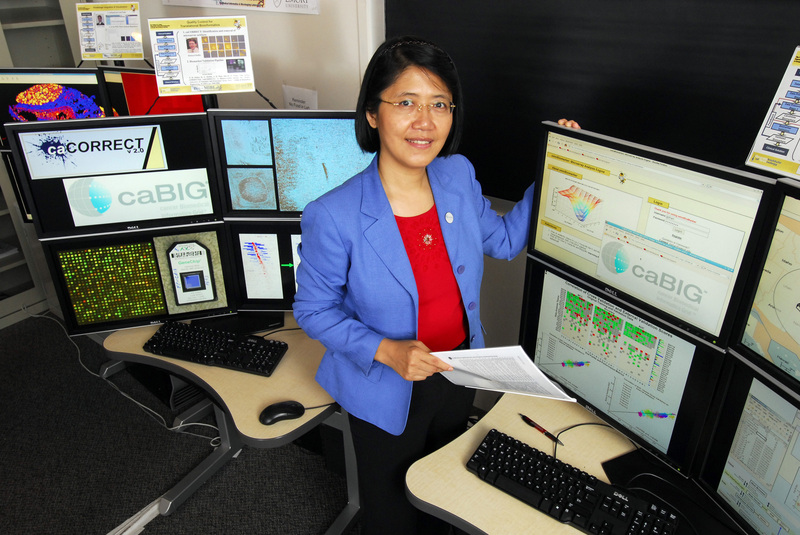 In addition to her new position, Wang has been serving as the Biomedical and Health Informatics Technical Committee Chair and will present at the EMBC 2014 Frontiers in Biomedical Engineering Symposium. Identifying biomarkers from tera-bytes (TBs) of next generation sequencing data for personalized diagnosis and treatment of cancer and cardiac patients. Identifying cellular and tissue imaging markers from TBs of pathological H&E, multiplex Quantum-Dots IHC imaging, or imaging mass spectrometry data for clinical decision support. Developing mobile health and educational intervention solutions for Sickle Cell Disease (SCD) kids to report pain and medication adherence. A small clinical trial for SCD kids has been finished in Children’s Health of Atlanta, and the approach will be extended to other chronic conditions, such as asthma, diabetes, and pain management. IEEE Engineering in Medicine and Biology Society is the world's largest international society of biomedical engineers. The organization is made up of 9,100 members in some 97 countries. EMBS provides its members with access to the people, practices, information, ideas and opinions that are shaping one of the fastest growing fields in science.